Menehunes will compete in the winter Season of PTBA. 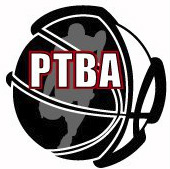 Visit www.MyPTBA.com for updates, schedule, stats, and game summaries of the scores. 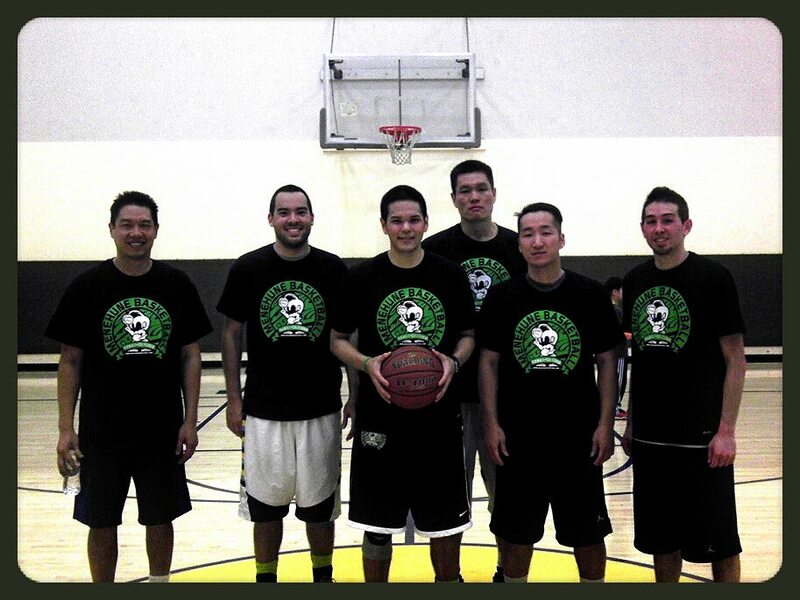 2013 Winter Division 1 PTBA "3peat"-Champions! 2013 Winter PTBA Division 1 CHAMPIONS! Menehunes-Lee defeat The Row 53-44 for the Division 1 championship! This was an exciting game between the two top teams in Division I. Both teams were going back and forth as they were coming up with big stops and big shots. However, the game got away from the Row in the final minute when Menehune-Lee's Ryan Lee hit a 3-pointer to put Menehune-Lee up 50-44. The Row went cold in the final minute and was forced to foul, sending Menehune-Lee's Jimmy Miyasaka to the line where he converted 3 of 4. Menehune-Lee wins the Division I Title with this victory over The Row. Menehune-Lee was led by Jimmy Miyasaka with 18 points and 9 rebounds. Benny Hwang finished with 15 points and 16 rebounds. The Row was led by Karlo Galvez with 14 points, 5 assists and 4 steals. Ricky Kamayasa finished with 10 points and 4 rebounds. After losing to Menehune-Lee in the final seconds of the game in week 7, YOLO was ready to face them again in the playoffs. However, this Menehune-Lee squad's lineup was bolstered with Benny Hwang and Bryant So back in the lineup. YOLO's Justin Kwok suffered a knee injury in the first and was out for the rest of the game. YOLO started the game slow as they only scored 7 points in the first quarter. YOLO did manage to close the gap in the second quarter, but Menehune-Lee was extremely efficient shooting 47% from the field and 42.9% from beyond the arc going 12 for 28. Menehune-Lee also had a +10 advantage in rebounds. Menehune-Lee spaced the floor real well and hit too many threes. Menehune-Lee moves on to play the winner of Zerone and The Row in the Division I championship game. Menehune-Lee had five players in double figures and was led by Jimmy Miyasaka with 21 points and 4 rebounds. Kevin Jenkins finished with 20 points and 6 rebounds. Ray Hong added 15 points, 5 rebounds and 7 assists. Benny Hwang grabbed 15 rebounds. YOLO was led by Cedric Ernst with 15 points and 8 rebounds. Robert Phan also scored 15 points. Menehune-Lee faced off against Zerone in their back-to-back doubleheader. Zerone was finally playing with their leader and international superstar Andrew Der. Menehune-Lee got of to a quick start scoring 29 points in the first quarter and 52 in the first half. However, fatigue kicked in during the second half as they only scored 36 points. Menehune-Lee shot well the entire game with a 45.6% field goal percentage, 47.1% three point percentage, and a 90% free throw percentage. Menehune-Lee was +10 in rebounds and also attempted 17 more free throws than Zerone. Menehune-Lee finishes the season at 4-0 while Zerone falls to 1-3. Menehune-Lee was led by Jarrod Carrol with 38 pts and 13 rebs, recording his first double-double of the season. Raymond Hong finished with 14 pts, 7 rebs and 7 asts. Ryan Lee added 13 pts and 11 rebs, recording his first double-double of the season. Suk Ahn had 12 pts and 7 rebs. Zerone was led by Wilson Chung with 20 pts and 9 rebs. Andrew Der finished with 19 pts, 5 rebs and 4 asts. Ervin Wu added 13 pts, 6 rebs and 5 asts. Kevin Lao had 13 pts. In an exciting game between two top Division I teams, Menehune-Lee makes a huge comeback in the second half to beat YOLO by 2 points. In the first quarter, Robert Phan gave YOLO a hot start as he hit three big 3 pointers. YOLO went into the second quarter with a 5 point advantage. In the second quarter, everyone on YOLO got involved and they made a huge run extending their lead to 17. However, things changed in the second half as Menehune-Lee calmly regrouped and played great defense holding YOLO to only 12 points in the third and 12 points in the fourth. The Menehune-Lee squad bolstered their lineup when Jarrod Carroll checked into the game in the fourth quarter where he scored 11 of Menehune-Lee's 21 points. Menehune-Lee moves to 3-0 with this win and YOLO falls to 2-2 following this loss. Menehune-Lee was led by Raymond Hong with 20 pts, 5 rebs, 4 asts and 3 stls. Jimmy Miyasaka finished with 14 pts. Suk Ahn was 2 assists shy of a triple-double as he had 11 pts, 10 rebs and 8 asts. Jarrod Carroll added 11 pts and Ryan Lee grabbed 12 rebs. YOLO was led by Robert Phan with 22 pts and 7 rebs. Cedric Ernst finished with 18 pts and 10 rebs, recording his first double-double of the season. Matt Goldbach added 15 pts, 4 rebs and 5 asts. Richard Yu finished with 10 pts and 10 rebs, recording his second double-double of the season. February 9: Menehunes-Lee defeat The Row in a thriller. Game Summary Menehune-Lee improve their record to 2-0 in the WInter 2013 Season as they beat The Row in a close game by 2 points. With just 5 players, Menehune-Lee had to strategize to keep their energy against the quick team of The Row. At the end of 1Q, The Row had a 1 point lead as they shot 7 for 19. The Row extended their lead 9 by halftime as they shot 9 for 12 and Menehune-Lee shot 5 for 12 and turned the ball over 4 times. Menehune-Lee picked it up in 3Q as they shot 10 for 17 of which #20 Billy Hoffman scored 12 points in the quarter making it a 4 point game going into the 4th quarter. The Row's #3 Ricky Kamayasa had a good quarter with 8 points, but Menehune-Lee stayed hot and shot 7 for 20 as four of those shots were 3-pointers giving them the lead and forcing The Row to foul. They sent #1 Suk Ahn to the line where he made both free-throws then a daggar by #20 Billy Hoffman ended the game and earned Menehune-Lee the win this week. The Row was led by #32 Jarret Chin (16 pts 8 rbds), #3 Ricky Kamayasa (15 pts 2 asts 2 rbds), and #1 Karlo Galvez (14 pts 3 asts 3 rbds). Menehune-Lee's leaders were #20 Billy Hoffman (33 pts 2 stls 9 rbds) and #25 Kevin Jenkins (23 pts 3 stls 6 rbds). Menehune-Lee win their opening game of the Winter 2013 Season beating Prime Time by 20 points and handing them their 1st loss. Prime Time had a 2 point lead at the end of 1Q and a 1 point lead at halftime as both teams shot efficiently and took care of the ball. The 3rd Q is when Prime Time lost their will and commander #55 Bim Okunrinboye struggled to make things happen for the team as he threw the ball away 3 times in the quarter. Unfortunately for them, Menehune-Lee picked up their pace shooting 5 for 13, but sent to the line where they added 5 more points to gain an 8 point lead at the end of the quarter. Prime Time still couldn't get a run in during the 4th Quarter and Menehune-Lee kept extending their lead to take the win. Prime Time was led by #13 Mark Mi (15 pts 10 rbds) and #55 Bim Okunrinboye (10 pts 2 asts 2 rbds). Menehune-Lee's leader was #50 Scott Holbert (22 pts 3 stls 8 rbds). Menehunes open up the season with there exhibition game against Fukien who is going to travel to play in a national Hong Kong Tournament.